Garage door openers are motorized devices used to open or close the garage doors. Most of the garage door openers are controlled by remote control or may be garage wall switches. It gives an easy and illuminated access to the home while also improves the security. Shop for the garage door openers, sensors, controllers from Garage Pros and enjoy attractive discounts. When it comes to the garage doors, garage door opener is the nucleus of the garage door. Garage door openers are complex equipments as they carry several intricate parts operating simultaneously to allow you to close or open the garage door. Have a look at our range of garage door openers only to find that you are getting the best. We have wide collection garage door openers that are quiet, powerful, durable and are perfectly designed for superior performance. We bring to you high quality door openers from the leading brands. View our catalogue of door openers now and place orders. Garage Pros offers you next generation garage door openers featuring great power, reliability and superior functionality. Packed with innovative features, our door openers perform to the highest of standards. 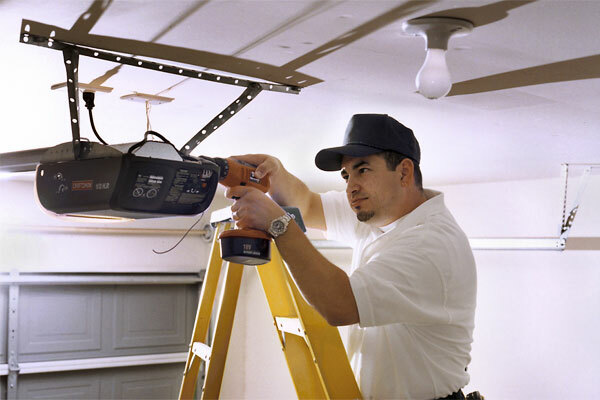 Not only do we offer the garage components and accessories but also we provide repair and Garage door installation services. We have garage door accessories to compliment the opener. Such accessories are engineered by keeping in mind the user’s convenience. To let you save some space in the garage, we have something new for you. Our space saving garage door openers can be mounted on the walls. Equipped with MyQ technology, our openers feature standby power system which is optional. So, the garage door opener functions uninterruptedly even when there is a power cut. When you buy a garage door opener, you need to consider the power rating. Our garage door openers carry the rating to perfectly accommodate the home needs. We have door openers from ½ to 1 ¼ HP and indeed our experts can work with you to determine the suitable garage door opener for you. An expert from our end can help you choose the right opener for your purpose. Garage Pros offers door openers with mainly two drive mechanisms in order to accommodate the budget and your home. You may either go for the rubber belt drive mechanism or the one driven by the chain. Garage Pros brings to you the strongest warranty packages. We provide warranty on labor along with warranty on hardware. Our garage door openers also feature great connectivity whereby you can connect the garage door to the smart phone. So, give us a call now to learn more about our garage door openers.